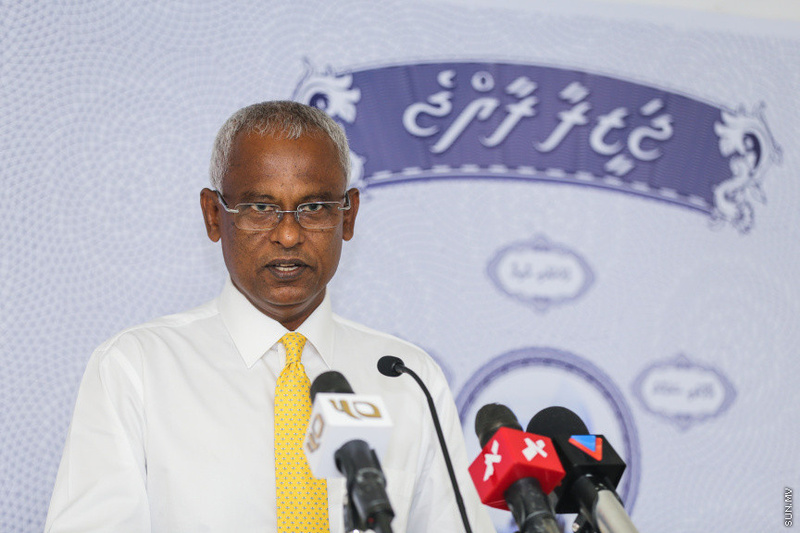 MDP candidate in the up coming Presidential Election, Ibrahim Mohamed Solih (Ibu) has rejected the invitation to the Presidential Debate hosted by the Maldives National University (MNU). The decision was announced in a press conferred this at noon today by the spokesperson of the MDP candidate, Maria Ahmed Didi. MNU previously said that both President Abdulla Yameed Abdul Gayoom and Ibrahim Mohamed Solih had accepted the invitation to take part in the debate. However, Maria told the press today that there was an interest to join the debate but the invitation was never accepted. And now, that interest is no longer present either. Maria said that it was because President Yameen had decided not to take part in any debate aside from the one hosted by MNU. She said that saying "yes" to one debate and rejecting all others does not seem like the debate is going to be a fair one. The MDP candidate's spokesperson said that originally, it was with pure intention that they wanted to take part in the MNU debate and while time is required to prepare for it, a date of the debate have not been announced so far. She said that despite rejecting the MNU Presidential Debate, the invitation to the debate being hosted by Raajje TV has been accepted.